Seasons are changing and the Christmas spirit is upon us! We are pleased to announce our third handbell Concert this coming November 17th, 2018. 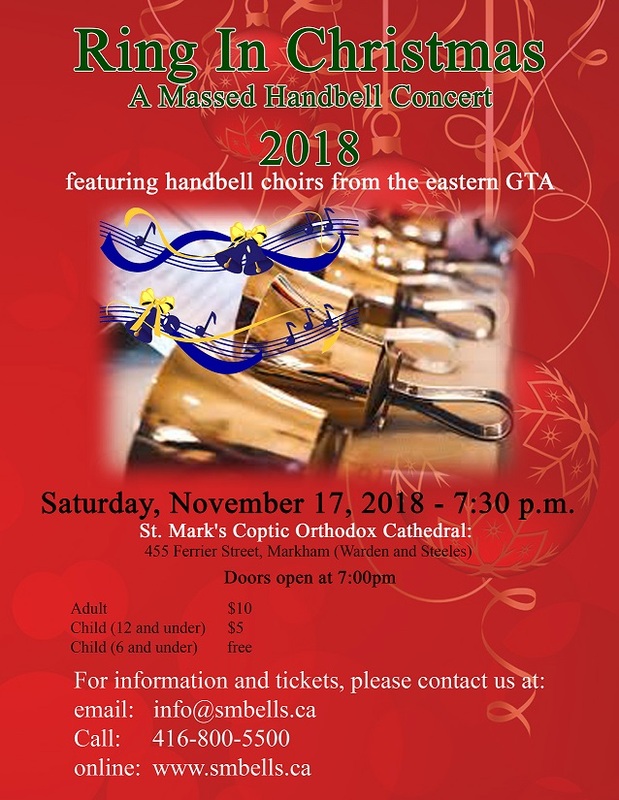 The event will feature various handbell choirs from all over the GTA. It will be gathering more than 5 hand-bell choirs to celebrate Christmas, as well as a Soloist who will share with us a unique hand-bell performance.